Did you know New York does not allow pipeline operators to downgrade any leaks while the federal government does not grade leaks at all? Washington state requires responses within 15 minutes for detection thresholds of 8% leak for full flow and no flow conditions applicable to hazardous liquid operators, while the federal government has only begun early discussions of this? That Kansas requires quality assurance inspection of all outside contractors, while federal regulations require only periodic workshops on quality assurance? Idaho requires NFPA 54 compliance before an operator is permitted to distribute gas, while the federal government does not? Illinois requires a full training program for operators, not just the minimum Operator Qualifications required by the federal government? All this and more from a recent report. 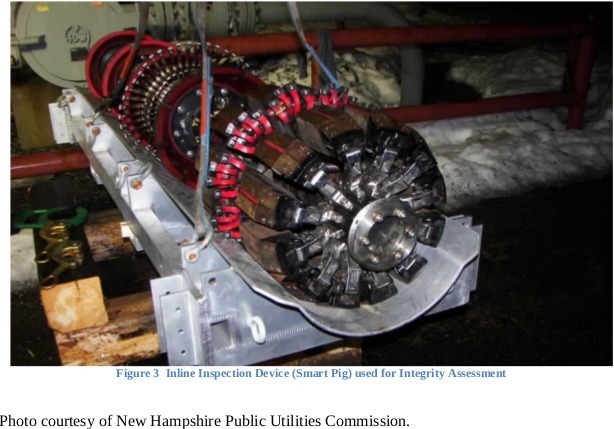 A newly released updated compendium of gas pipeline regulations around the country reveals that States implement stricter rules and laws than required by the federal government. The updated report identifies nearly 210 new regulations initiated at the State level previously undocumented. 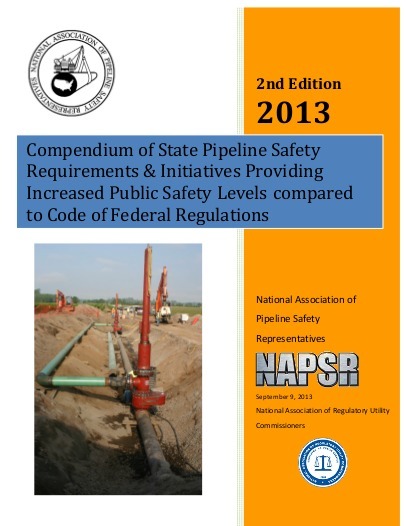 The Compendium of State Pipeline Safety Requirements & Initiatives Providing Increased Public Safety Levels—Second Edition”, authored by the National Association of Pipeline Safety Representatives (NAPSR) and sponsored by the National Association of Regulatory Utility Commissioners, demonstrates that the large majority of State agencies enforce requirements above and beyond those mandated by federal policies. Now the Compendium says Alabama, Florida, and Georgia’s PSC’s regulate intrastate pipelines and PHMSA regulates interstate pipelines. But some states apparently do regulate interstate pipelines. So apparently the Alabama, Georgia, or Florida legislatures could pass a law adding interstate pipeline regulation to their PSC’s portfolio. Besides, in Alabama and Florida two of the three new pipelines are intrastate (Transco’s Hillabee Extension Project and Sabal Trail in Alabama and Sabal Trail and Florida Southeast Connection in Florida). Alabama and Florida’s PSCs already require enhance reporting and more direct oversight, and Florida has numerous Design/Install Requirements and enhanced record keeping. They could add more. What could they add? The Compendium includes handy tables by state and requirement type for who has what sort of additional requirements. Should be easy enough to look up likely requirements.